There’s a fee because these third-parties are providing a service to employers and educational institutions. Third-parties know the records they hold are valuable, so they charge anyone who needs to gain access to the information. Fees to access records that are held with these third-party verification services range from $6.00 per verification to more than $36.00 per verification. Why Do Third-Party Verification Fees Exist? Imagine being a Human Resources or Payroll professional for an organization with hundreds, or even thousands, of employees. Now, imagine receiving never-ending phone calls, e-mails, and faxes from background screening companies and other employers regarding previous employees of your organization. Every person that has worked for your company could inevitably need at least one employment verification to be completed for them in the future- that’s a lot of phone calls, a lot of data, and a lot of time. Employers are too busy to answer questions and fill out forms about previous staff when they’ve got plenty of current staff to worry about, and a business objective to move forward. Employers all over the country have chosen to partner with third-party verification services, such as The Work Number, Thomas & Company, or Apple One, to handle the administrative side of responding to employment verification inquiries. We are seeing the same trend across educational institutions. As many districts continue to face budget cuts, many schools are unable to employ a staff member to respond to education verification requests. This is especially true during the summer months, where we often see long delays with record searches as some schools do not operate with any personnel during the summer break. To help deal with the influx of verification requests, some schools are now choosing to store their records with third-party verification services that are designed for school records. Schools who do not partner with third-party verification services like The National Student Clearinghouse or Parchment, are still able to charge a fee for each record they look up to help offset the cost of physically performing the search. 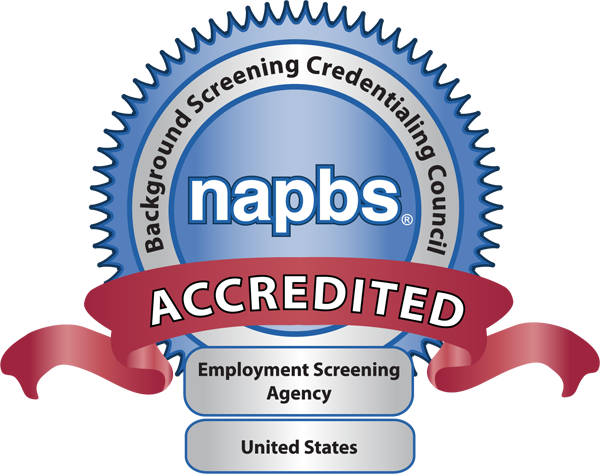 Accredited universities in the United States have been participating in the National Student Clearinghouse since 1993. Accredited universities can send transcripts and degree confirmation data to the National Student Clearinghouse, where the information is stored until it is requested by an individual/party with a permissible purpose under the FCRA and a signed authorization from the student. In case you didn’t know… individual states do not maintain databases with high school graduation records. It’s up to each school and the school’s designated district to determine how they will report high school graduation records. Check out my blog 10 Things You Didn’t Know About Education Verifications for more. I Understand, But Why Is There An Extra Fee? The simple answer is: There’s a fee because these third-parties are providing a service to employers and educational institutions. Third-parties know the records they hold are valuable, so they charge anyone who needs to gain access to the information. While schools and employers are the ultimate decision makers as far as whether they wish to partner with a third-party verification service to handle their records or not, consumers and consumer reporting agencies still have to “deal” with the decisions that have been made, and sometimes that means paying extra fees that the different verification services charge to record requestors. How Can I Avoid Paying Third-Party Verification Fees? The only way to avoid paying third-party verification fees is to not request records from employers or schools who choose to house their records with third-parties. Thousands of employers use third-party verification services to handle their verification process for them, and thousands of schools have made that same choice. Third-party fees aren’t going anywhere any time soon. If I Can’t Avoid The Fee, Can I At Least Save Some Money? Individuals requesting employment or education records with a permissible purpose under the FCRA are typically charged more than consumer reporting agencies (CRA’s) due to the volume of records requested. In other words, Validity Screening Solutions can usually request and access these third-party records for you in a more cost-effective way than you could on your own, simply based on the number of records we retrieve on a regular basis. We’re also experts at working with those third-parties when they return invalid or incomplete records to us, so you don’t have to. There is not a magical way to avoid paying third-party verification fees. The fees exist because of the partnerships that employers and schools have and continue to form with different verification services to help them handle large amounts of verification requests. Because third-party verification services are truly offering a service, they can charge a fee and are also allowed to set the amount of the fee. Signing up to access records on your own through a third-party verification service can be expensive, time-consuming, and even require an on-site inspection. You can save time, energy, and even pay reduced fees to access the same records if you partner with a background screening provider who has memberships already established with third-parties. Check out Validity’s Verifications page to learn more about what kind of verifications we are able to handle for your team.